Versatility! 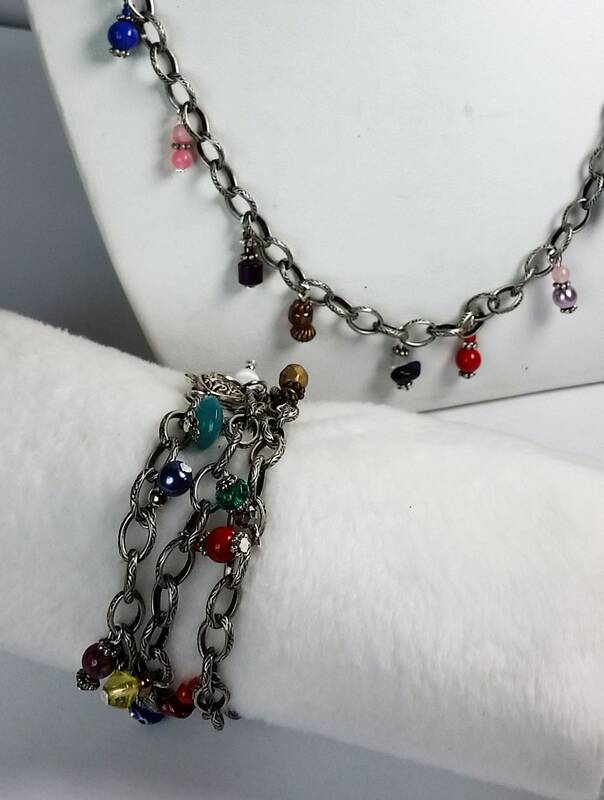 This go-to jewelry piece can be worn as either a necklace or a triple wrap bracelet (or for small girls a quadruple) with a rainbow of colorful drops/charms. Note that In some of my pictures I have shown 2 different pieces together as necklace and bracelet, for illustration. 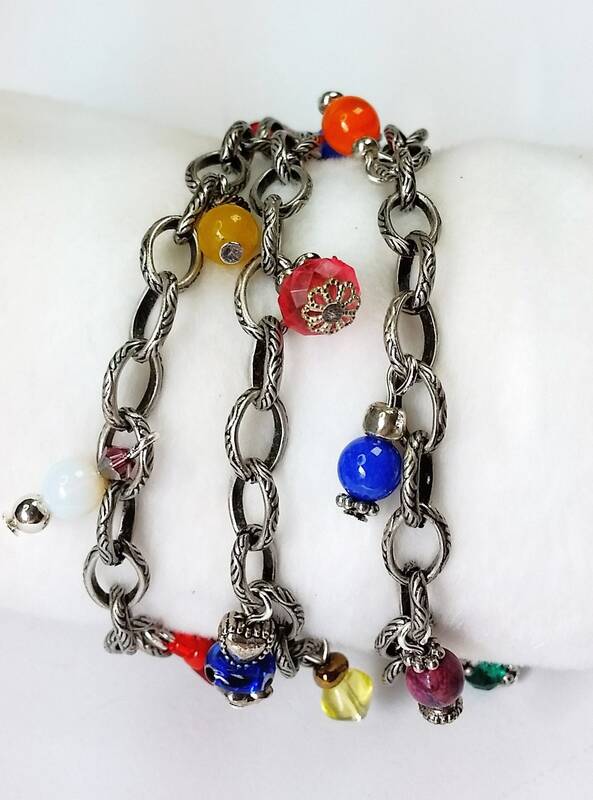 If you would like both together (two pieces of jewelry) please order 2 and note that the dangles will be different on each one, always a rainbow of colors, and they will go together! 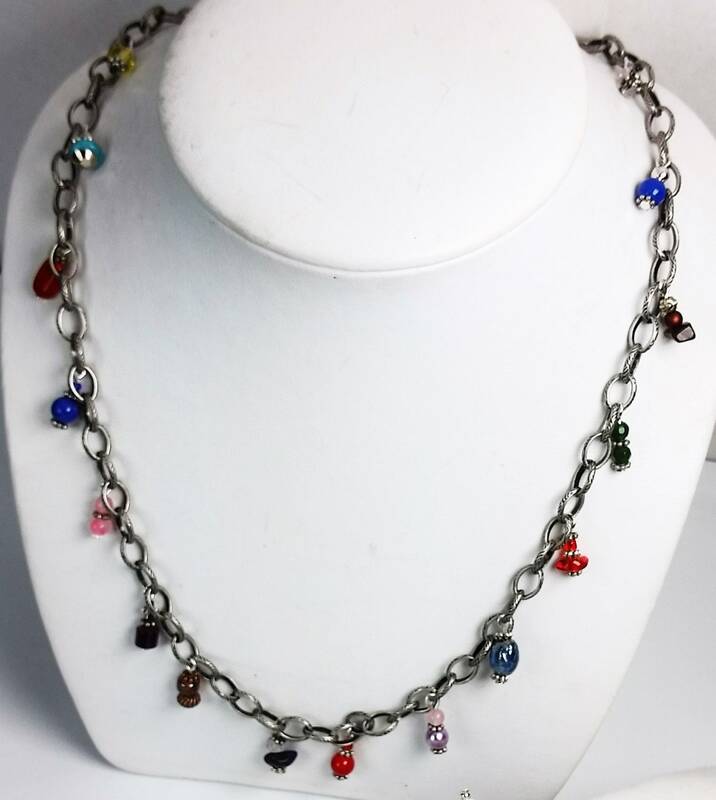 Just to restate that, each chain is priced individually, if you want 2, please order 2 or contact me first. 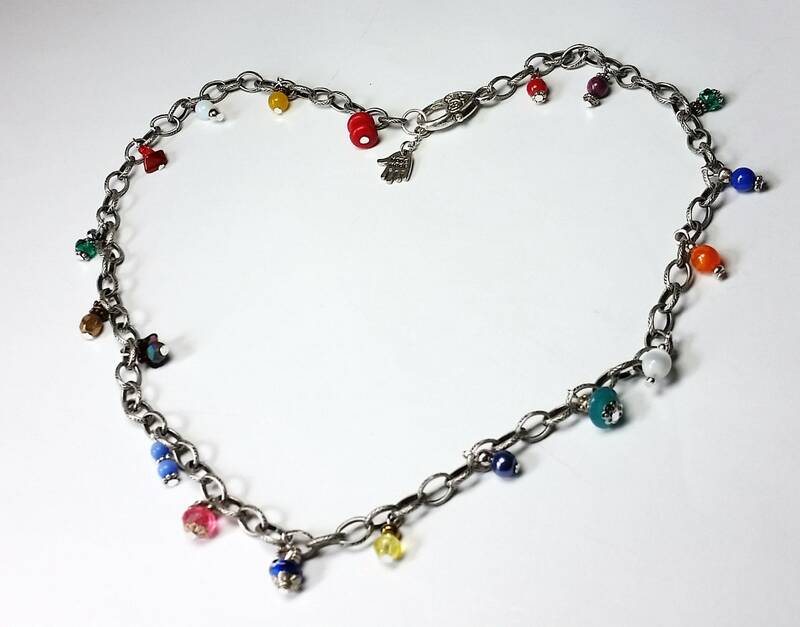 Chain length is about 22.5 inches. The closure has a large, decorative lobster style clasp . 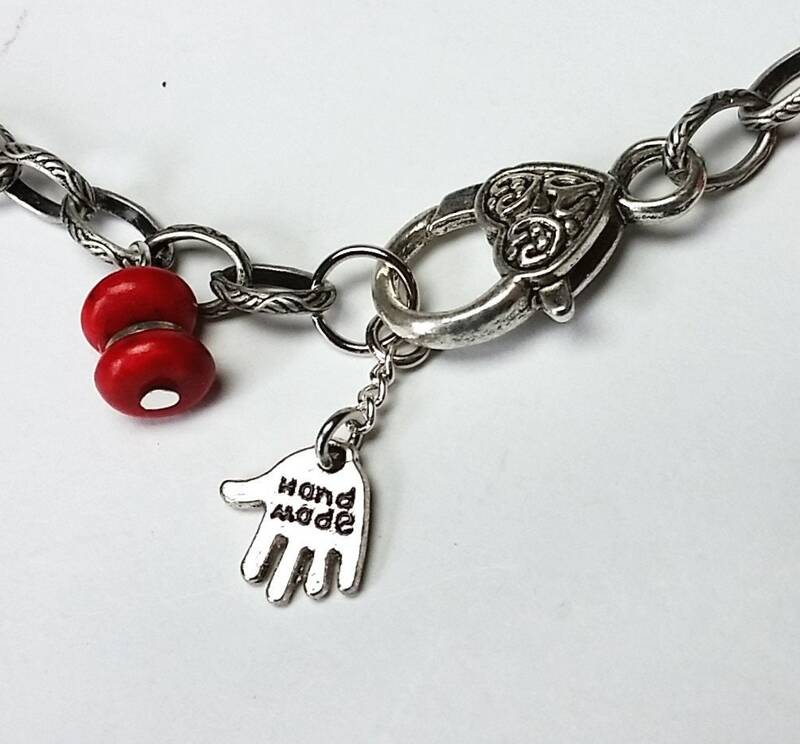 I have put a tiny hand charm that says "handmade" at the opposite end from the clasp so that you can find that end easily when taking off and putting on the necklace or bracelet! Whether you order 1 or 2 (or more! 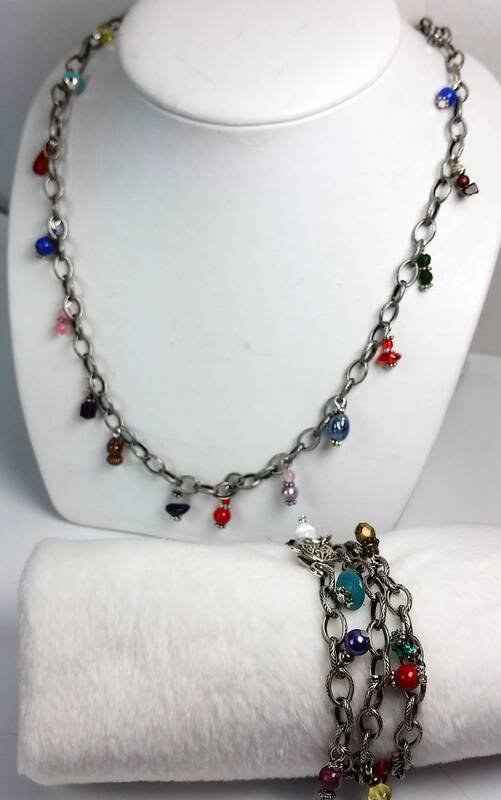 ), this is bound to be your go-to jewelry piece! 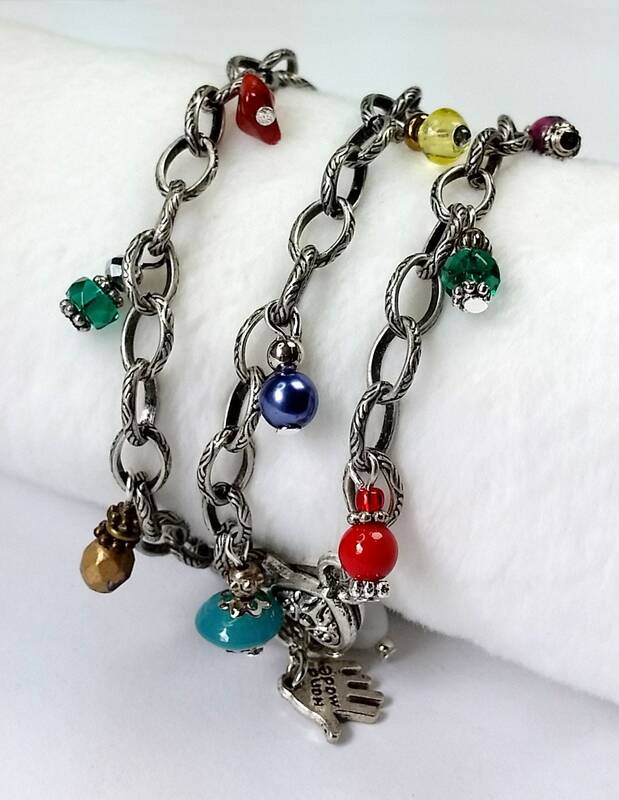 If you order 2 you can wear a bracelet on each wrist, or a double chain necklace, or one of each, or make it one super long necklace or one wide multiple wrap bracelet!!! Please know that if you order more than one chain I will be sure they are the same type! 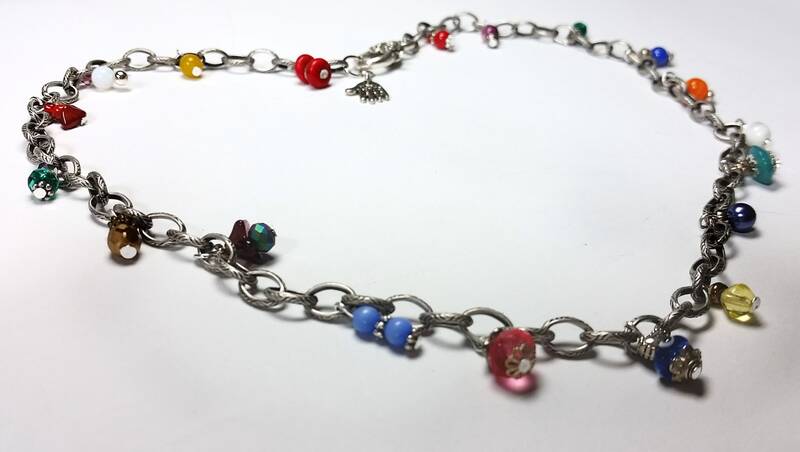 Chain type may vary slightly from that which is pictured. 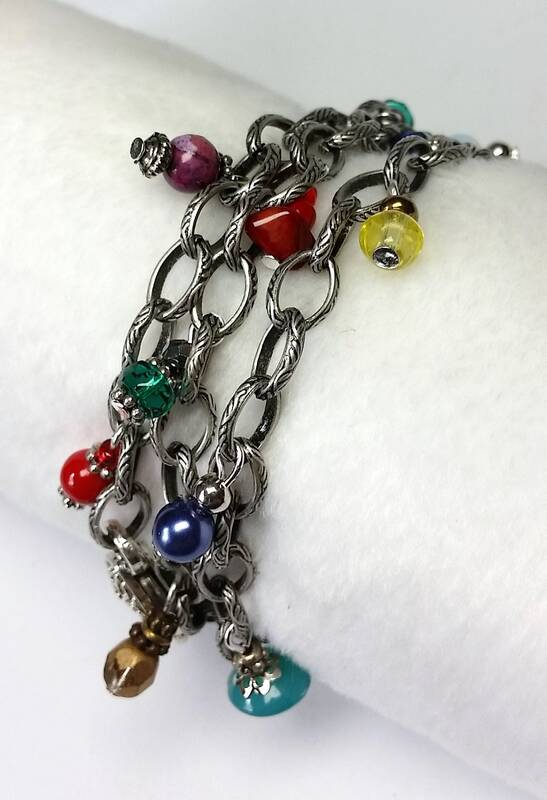 Also, please send me a convo if you would like a different color of chain besides antique silver! 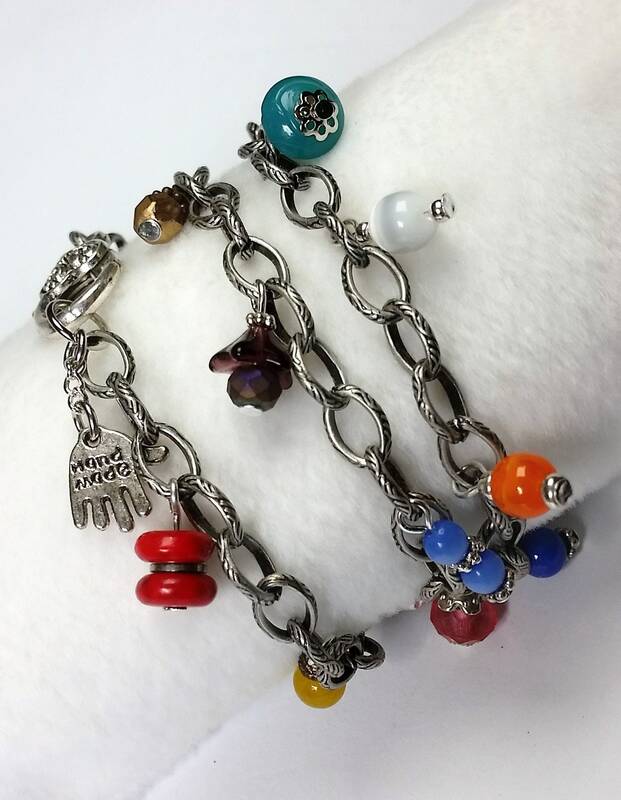 I take custom orders, contact me first before placing an order that is to be individualized.